It's completely bonkers the kind of thoughts that run through your mind when you try out floatation. Star Wars, anyone? 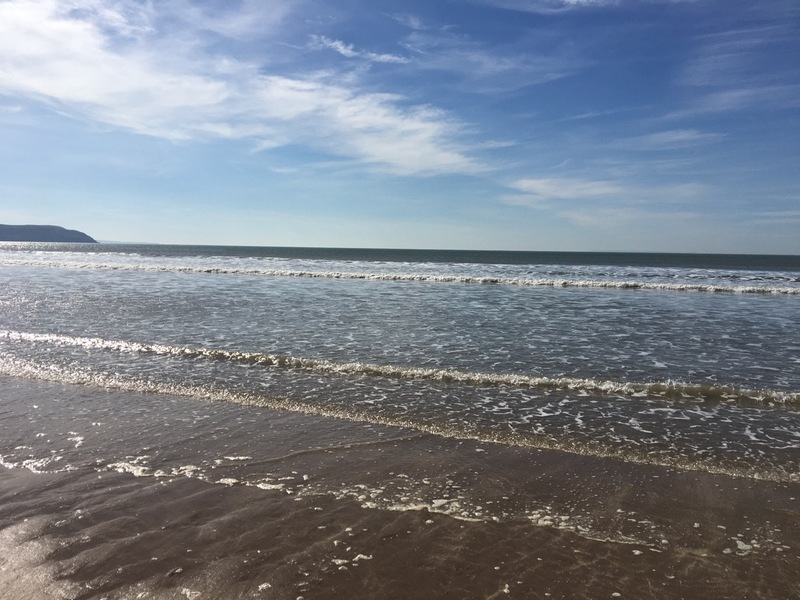 I had to chuckle when, just before the summer holidays really took hold, I took myself off to the north Devon coast to Hands-On Floatation and Treatment Clinic in Braunton. My first true experience of floatation left me quite bemused and bewildered at what my mind is capable of thinking when everything else in the world goes quiet. I was invited to ‘come and have a float’ in North Devon’s only floatation room, along with a massage by owners Phil and Ellie and, as Muddy Award winners for best Complementary Therapy Centre, I wasn’t going to pass up the opportunity to go and have a nose around. 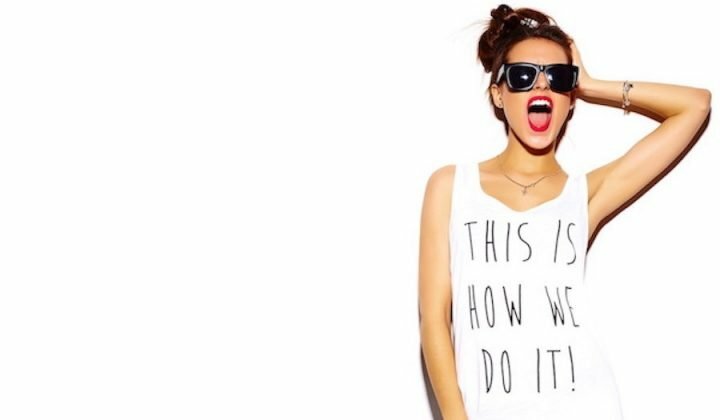 Plus, with every verb in the dictionary prefaced with the word ‘mindful’ these days, I thought it would be fun to try out what’s surely the ultimate way to ‘do’ mindfulness. ok, it’s Woolacombe but it’s North Devon and I didn’t get time to get to the beach! Ahh, Braunton, beautiful Braunton. Get a lungful of that fresh sea air while you’re there, won’t you? This gorgeous village (is it Britain’s largest village? Apparently so), has pretty cottages, endless stretches of beach flanked by impressive sand dunes and a really happy vibe. Plus, it has a car park with the cheapest fees I’ve ever encountered (something ridiculous like 20p an hour!) which, handily, is straight across the road from the clinic. 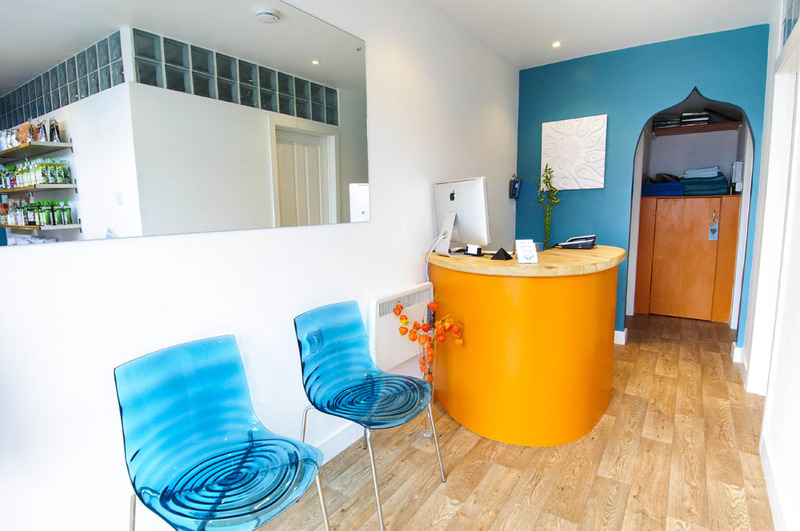 Hands-On Clinic’s decor matches its surroundings, all clean turquoise and white colours. 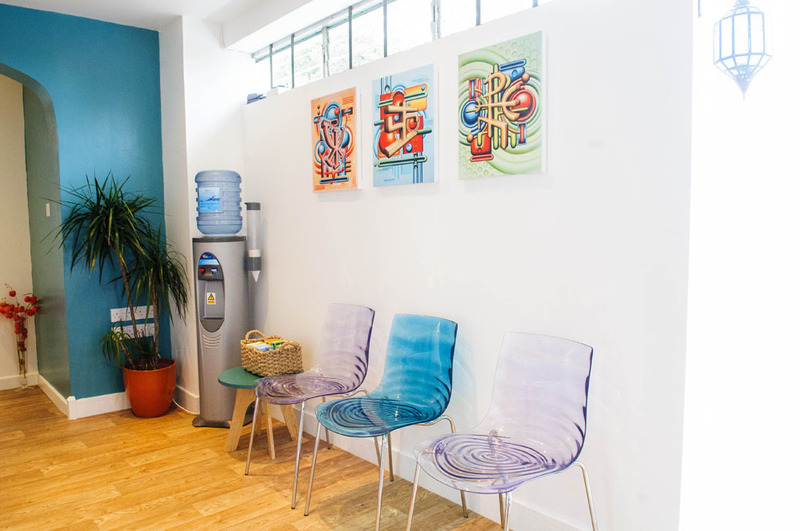 It’s bright, cheerful and welcoming in the public areas, but it’s also a place that means business; don’t come expecting plush velvet curtains, padded carpets and Jo Malone candles (although the treatment rooms are appropriately tranquil). 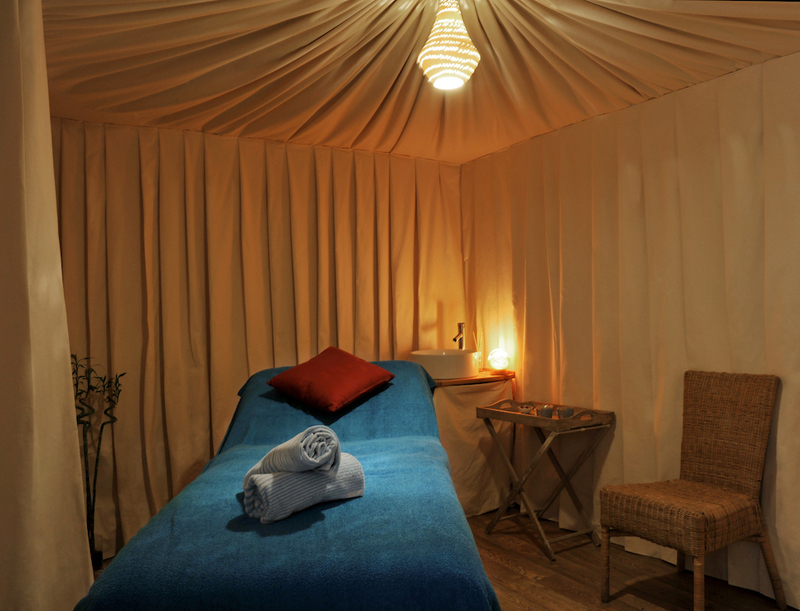 It’s not a spa with beauty treatments – this is somewhere to come and put your body back together and the team are hell-bent on fixing your health, which is why locals and holidaymakers alike frequent the place. It would be much quicker to list what treatments this clinic doesn’t offer. 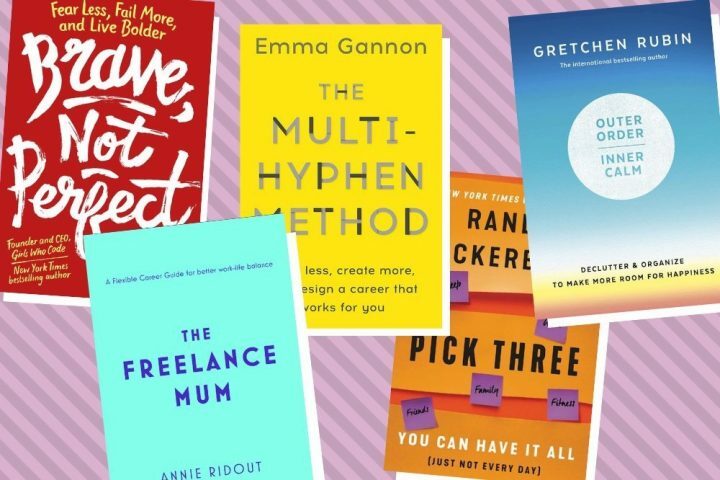 Reading like a therapy manual, you can take your pick from acupuncture, to reiki or reflexology, along with every kind of massage you’ve ever heard of. And you’ll find a few more unusual-sounding ones on the list, too, like Cocoon Time (baby and children massage therapy) and the Dorn Method (for neck and back pain). 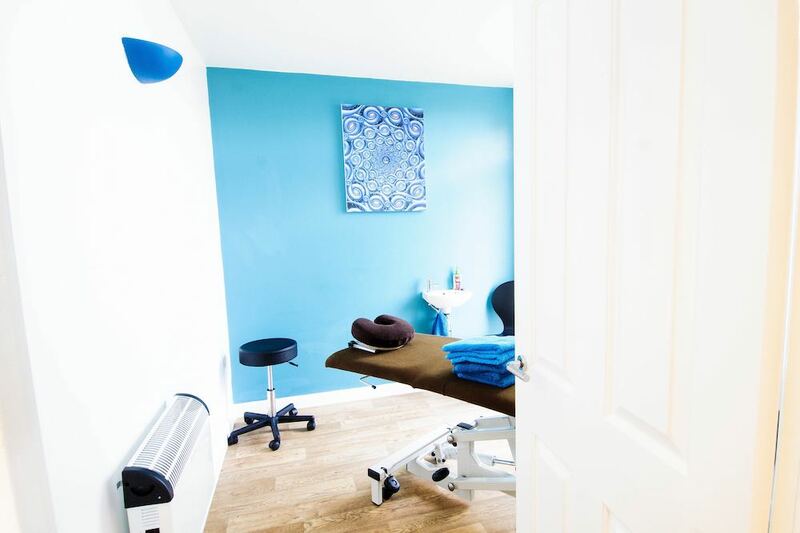 The therapists (at least ten of ’em, as far as I can tell), are a highly trained and talented bunch who do a lot of specialised work on areas like fertility and sports injuries and I reckon they love a challenge. First up, I had a full body massage, delivered by head honcho Phil, a giant with magical hands. Straight to it, Phil got to work on restoring my Muddy Awards-battered body, which felt in a pretty sorry state at the time. What this man doesn’t know about massage isn’t worth knowing, basically. I discovered that Phil has been doing this for nearly 20 years and has actually developed his own ‘massage technique’ in that time. He has a never-ending waiting list and oodles of rave reviews for the miracles he’s managed to work on people. Phil would call his style intuitive and he certainly managed to sort me out in sixty minutes. As a teacher of massage more these days, I was truly lucky to nab a spot with the big man himself. Next up, the floatation bit. It’s hard not to feel a tiny bit apprehensive when you really don’t know what you’ve let yourself in for. But it turns out that it’s all very straightforward and, Chloe did a grand job of explaining to me what I needed to do and what to expect. So here’s the lowdown. You’re given your own room with towel and a robe and all you need to do is strip off (shower off any excess oils beforehand), pop some ear plugs in (optional) and enter your own private floatation pool. It’s a small, dimly lit room with a nice, high ceiling, completely taken over by a massive warm, shallow bath (10″ deep) that you can lie down and do snow angels in without touching the sides (don’t ask, I just know). Lie back and you float, it’s as simple as that. A zillion billion tonnes* (*or something like that) of epsom salts make this experience like floating in the Dead Sea, but much more tranquil – just don’t rub your eyes. For the first fifteen minutes or so you’re accompanied by soothing music, but then you’re left alone to stare up at the twinkly star-lit ceiling, or close your eyes and drift off. No two floats are the same, apparently. Each one is unique and the benefits are cumulative. floatation is brilliant in taking weight and pressure off muscles and joints (so great news if you’re heavily pregnant, or full of aches and pains). 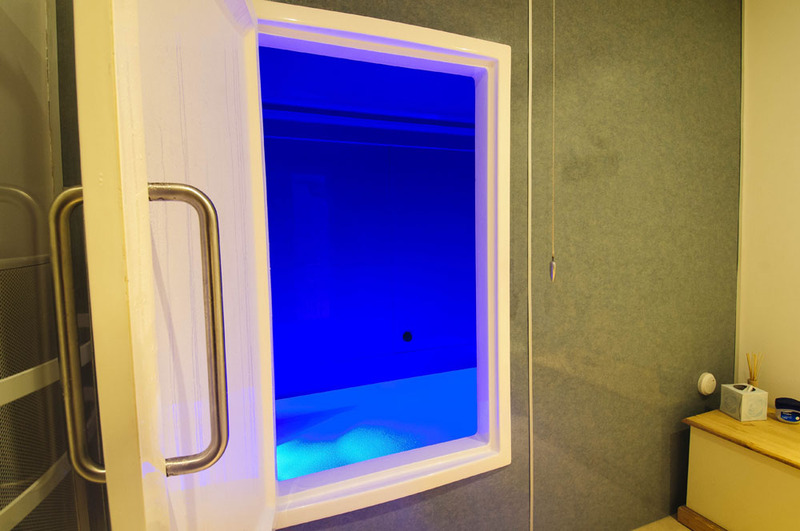 Stress leves, blood pressure and heart rate all lower while you float. So, back to me and, now that I’m sort of beyond that ‘wow, I’m actually floating’ feeling, and the music has stopped, I’m left alone with my chattering mind, which is going something like this: this is weird….I’m going to try a starfish….nope, can’t touch the sides…if I close my eyes, I can’t figure out at all where I am, or what direction I’m facing as I float around, that’s cool….god, I look quite slim in the reflection on the ceiling…this must be what space feels like…this is ace!…wait, I’m going to see if I can not float….nope, not possible…how does the water stay at exactly the same temperature…I think I’m pretty relaxed…I wonder if I’ve been forgotten…Has this really been an hour? Hello? And then, the music returned and I was free at my leisure to come out of my cocoon and shower off my now, very soft skin. Despite my struggles to switch off (I find it impossible), it was an amazing experience, one that everybody should try at least once (although it takes between three and five to ‘get it’ apparently). I finally emerged into the afternoon sunshine with a weird spring in my step and a sense of complete relaxation. Good for: those in need of a body and mind fix; aches, pains, niggles, stresses, they’ll all be given the heave-ho here. Not for: those expecting – and wanting – the ultimate day spa experience, with prosecco and loungers to laze on and read magazines. It’s relaxing because of the treatments, not the luxuries. £££: An hour’s float costs from £28 (£23 if you book before or after a treatment); a 60 minute healing massage with Phil costs £50. All brilliant value, if you ask me. He’s a pro and his clinic and facilities reflect that.